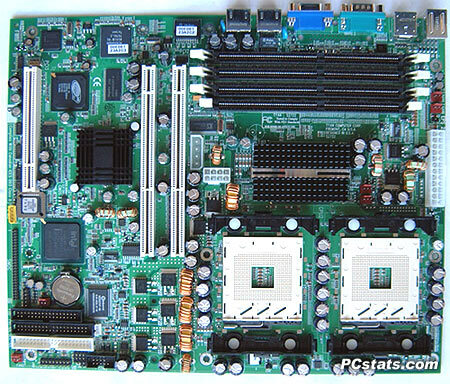 When we talk about build-to-order servers there are maybe three or four mainboard makers I would actually consider assembling a system with. After all, anyone can put together a desktop mainboard that will work, but when it comes to servers and the enterprise level applications or websites that run on them, there is absolutely no joking around. Downtime knows no friends. Our expectations are that a server main board will be rock solid stable, with an understanding that if the system board itself ever caused a failure, it would be junked and replaced with another solution. This isn't just an ideal statement, the rack of servers we operate at EICOMM are in operation 24x7x365 under the very same premise. Consequently, as we begin our first sever board review it is with the credo that any hardware instability equates to an outright failure of the product. 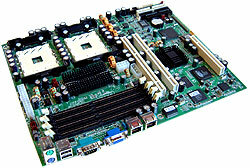 Tyan have been producing server and workstation motherboards quite successfully for some time now. They were the first company to introduce a dual Athlon workstation motherboard, and make one of the best if you ask anyone. Their single-CPU desktop mainboards on the other hand are less impressive, so this is typically why most consumers are not familiar with the company. We often receive emails from readers asking for motherboard recommendations for one purpose or another. Based on past experiences, it seems we've quickly developed a general 'brand awareness' for what should be a good desktop, workstation, or even server board. Tyan typically fall into the last category, along with a few other companies; though a board like the Tyan Tiger S2722 will typically retail for $330USD, putting it at the lower end of that spectrum. Tyan are a server and workstation motherboard company to be sure, and in a meeting with them several years ago in Fremont CA, we were told Tyan-based servers run Google and Yahoo. If that's 100% true or not now I can't say for certain, but that kind of news does raise the bar on expectations significantly. The Tyan Tiger S2722 is based on the Intel server E7500 chipset and supports up to two Socket 603 Xeon processors with 512 KB L2 cache and a 400 MHz system bus to provide up to 3.2 GB/s of available bandwidth. We will be testing with two 2.0GHz Xeon parts, but there is no reason why the board couldn't be outfit with just a single Xeon processor. The E7500 supports NetBurst microarchitecture and HyperThreading which are built into the Xeon processor. On board expansion consists of just two 64-bit 133/100/66MHz PCI-X slots and a regular 5V 32 bit 33MHz PCI slot. Realistically speaking, with the Tyan Tiger S2722 mounted in a 1U rack mount chassis, only one of the three slots would be available via a PCI or PCI-X 90 degree riser card. Memory support consists of four 184-pin DDR DIMM sockets which will hold up to a maximum of 8 GB of Registered ECC PC1600/2100 DDR memory (in pairs). Since the DIMMS are not slanted, taller DIMM's may not fit under the hood of a 1U chassis. Standard height Registered ECC DIMM's fit fine. Rounding out the other onboard features we find the Intel 82545EM controller adjacent to two RJ45 LAN connectors (one 10/100/1000 Gigabit, the other 10/100 Ethernet) with status LED's integrated. The Gigabit LAN connection is piped in directly to the third PCI-X bus.